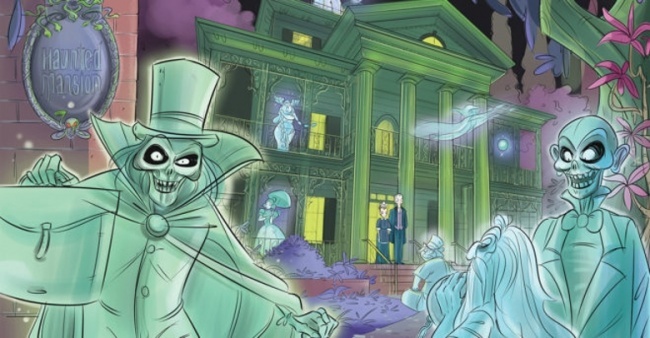 IDW Publishing will unleash a new journey through Disneylands’s Haunted Mansion attraction in a new original graphic novel aimed at middle-grade readers on September 25. Written by Sina Grace (Iceman) and illustrated by Egle Bartolini (Disney Princess Comics) The Haunted Mansion OGN conjures ghoulish adventures for middle grade readers ( 8 -12 age) and any darkly-inclined Disneyland fan who will enjoy revising the ghost host, Madame Leota, the singing Busts, the hitchhiking ghosts and more. "As someone who solemnly swears to have boarded a Doombuggy every Disneyland visit, I am utterly thrilled to join the 999 happy haunts with a story full of laughs, gasps, and a few surprises,” said Grace. “The Haunted Mansion is one of the most iconic attractions in all of Disneyland, and I am so honored to be writing a tale commemorating its historic 50th anniversary." The 72-page softcover has an MSRP of $9.99. 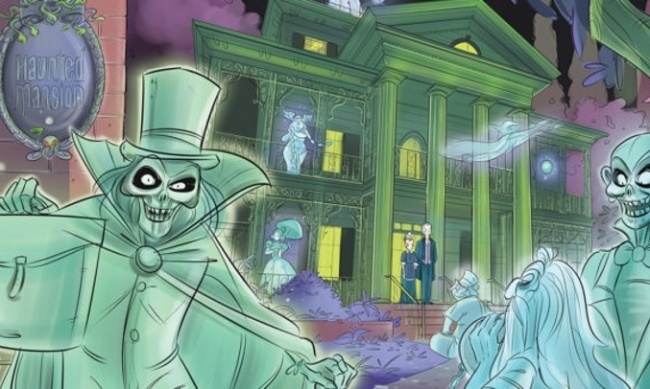 Marvel released a Haunted Mansion series as part of its “Disney Kingdoms” line in 2016 (see “'The Haunted Mansion' Joins 'Disney Kingdoms' Series”). In 2005 SLG also released a short anthology series set within the walls of the spooky attraction.